Did you catch The Voice finals last week? Jordan Smith captured America’s attention (and their votes) with a stirring rendition of the now classic Christmas song Mary, Did You Know. Smith closed the competition with a song that his coach, Adam Levine, didn’t want him to sing, but in the end, even Levine said Smith made the right choice. Mary, Did You Know has become a Christmas classic since Michael English first recorded the song in 1991. The words of the song were written by Christian comedian Mark Lowry with the music written by musician Buddy Green. Lowry said the song evolved as he contemplated sitting with the Virgin Mary over a cup of coffee, and the questions he would ask her. You can watch Mark Lowry’s performance of Mary, Did You Know by clicking here. Long before Lowry and Green put their song together, Mary sang her own song (found in Luke 1: 39-56) about her little boy, and the words she sang reveal the truth that yes, in fact, Mary did know. Mary lived in an expectant time for the nation of Israel. The Scriptures had promised the coming of the Messiah, and rumors were rampant that he was coming at any time (sound familiar?). The Messiah was going to turn the world around and deliver Israel from all her enemies. He would usher in the kingdom of God. But if those people who were so high with expectation had gone to a stable in the town of Bethlehem they might have said, “That’s it? That’s the Messiah?” No one could have guessed how this child would change the world. No one could have imagined the impact he would have on world history and the change he would make in people’s lives. No one, perhaps, except Mary and her cousin Elizabeth. Yes, Mary you did know! Mary, you knew that your baby boy would save our sons and daughters. Mary, you knew that this child you delivered would one day deliver you…and all the others who would believe in him. She knew this baby had walked where angels trod, and that when she kissed her little baby, she kissed the face of God. Her song reveals she did. Her song is called the Magnificat, and it speaks of the glory and the deliverance and the salvation of God. Mary knew because her song put the focus squarely on God. Mary shows a maturity that is wise beyond her years. Let’s remember that Mary is probably around 13 years of age, but certainly not more than 16 years of age. Betrothals were often made when a young lady was 13, and the marriage was generally a year later. It would have been unlikely she would have been much older. It would not have been culturally correct. At such a innocent age, Mary turns her focus to God. She gives God the glory, and she sings a song of love, a song of hope and a song of faith. As soon as Mary hears the words of Elizabeth, Mary knew in her spirit that what had happened to her was for real. Praise erupted from deep within like an overflowing fountain. The moment that she and her people had waited for so long had finally arrived. God had heard the cries and the longings of His children and the work of salvation had begun. Faith grows out of worship, and Mary’s entire song is worship. Worship takes the attention off us and focuses it on God. Worship is the environment that is perfect for strengthening and deepening faith because faith keeps its vision focused on the word and promises of God and not on the surrounding circumstances. According to Hebrews 11:1, “Faith is the substance of things hoped for; the evidence of things not seen.” Faith is believing that because God has declared something, it is already an accomplished fact even if the tangible and visible evidence is not immediately apparent to our senses. Mary sang of God’s salvation, even though nothing around her changed. Mary was still a pregnant young girl from Nazareth. The Romans and the Jewish king, Herod, still ruled with an iron fist, the rich still had their goods and the poor continued to struggle. But, Mary sang because she saw a vision of the changed world God was bringing into being through her son…a world where all wrongs will be righted, where every injustice will be corrected, where the oppressed and downtrodden will be lifted up and those who have elevated and exalted themselves will be humbled. Yes, Mary did know, and because she knew, she could say, “I am the Lord’s servant.” Here’s what we need to know: This same Jesus seeks to continue becoming flesh, to continue being expressed through willing men and women, and to dwell among us. You and I were each especially made to be a dwelling place for God. You and I are the sacred vessels through which He will make Himself known in our homes, our families, our schools and our communities. The “church” building is not the place. The Temple in Jerusalem is not the place. You and I are the place. This Advent season, Jesus comes to us, the least likely individuals in the least likely of places and He says to you and me, as the angel did to Mary, “You who are highly favored! The Lord is with you!” He promises the outpouring of His Holy Spirit upon us so that Christ might be formed within us. God forces Himself on no one. He takes the initiative and He makes the invitation. Because Mary did know, you and I are here this morning and have a living hope, a steadfast faith, and the experience of God’s eternal and life-transforming love. This hurting and broken world doesn’t need to know if Mary knew. This hurting and broken world needs to know if we do. Merry Christmas. Here’s your orange. No joke. An orange was a pretty common Christmas gift in years gone by, especially during the Great Depression. A child would awaken on Christmas morning to find a stocking stuffed with an orange, and apple, perhaps a banana, a few nuts, and if especially blessed, some hard candy. That was Christmas…that, and a trip to church on Christmas morning. Yet, that fresh fruit represented a sacrifice for the parents. Not much fresh fruit in the wintertime, unless you lived in southern California or Florida. If there were other gifts they were usually homemade or handmade. And, they were special. It was a time when it truly was the thought that counted. Getting fruit for Christmas was a big deal, and might I suggest this morning, giving fruit for Christmas is a big deal. When I say fruit, I’m not talking about apples and oranges, although do a Google search for “fruit for Christmas” and you’ll get 117 million results, and at least the first three pages will be websites selling fruit baskets for Christmas, so there must still be lots of fruit given at Christmas time. No, I’m talking about the fruit of repentance of which John the Baptist preached in Luke 3: 7 – 18. John the Baptist was working to prepare the way for the coming of Christ, and part of the preparation was repentance. John the Baptist preached repentance, and the words he used were some pretty harsh words, but when people heard the words, they were cut to their hearts. We read the words of this gruff character with his wild clothes and wild diet proclaiming what sounds like to us a “turn-or-burn” message. Seriously, nowhere in the Dale Carnegie book How to Win Friends and Influence People does it ever suggest you begin your message by calling your audience a bunch of snakes. But, it worked for John! People were responding to his message. Although, sometimes tough love can be the best love. We need tough love every now and again. Basically, though, John’s message boils down to a very simple imperative—repent. Repentance prepares the way for the coming of Christ. When we talk about repentance, we’re not simply talking about saying “I’m sorry.” It’s not enough to feel sorry in your heart for wrongs committed. It’s not enough to regret choices made that didn’t honor God. Something needs to be done. Outward actions must accompany inward decisions. Repentance is not simply a private, personal choice that one makes in the quietness of a solitary moment. Repentance means changing directions. Repentance is not simply coming to the realization that “I’ve made some bad decisions…I’m sorry for getting in this mess!” No, repentance means ‘turning around’, getting on a different road, getting things right with God. What should we do? That was the question the people asked John that day, and John was more than willing to answer them. John says to prove that we’re changed by the way we live…produce fruit that shows our heart. Now, wait a minute, preacher. What’s with this fruit thing you’re talking about? Producing fruit? Aren’t you getting mighty close to works righteousness? You’re not telling me I have to work my way to heaven, are you? No, no, no! Fruit doesn’t guarantee our salvation. What John is implying, and what the Bible teaches is that fruit comes as a result of our salvation. That’s exactly what John Wesley taught, too. He talked about producing “fruit meet for repentance.” It was for him about turning from doing evil and learning to do well. That’s what John the Baptist told the people gathered around him that day, “Stop what you’re doing and do something else instead.” “If you’ve got enough food and clothes, give some of it away.” “If you’ve been dishonest, don’t be dishonest anymore.” “If you’ve been discontented with anything, don’t be discontented any longer…at least not about those things.” An inward attitude should be reflected in an outer change. The inward attitude should be reflected in the fruit our lives bear. To say it another way, fruit is the tangible way to measure the work of God in the body of Christ. If I may be practical for a moment, I see four specific fruit John mentions that reflect a changed life. First, there is generosity. Do you have two coats? Give one away to the poor. Generosity shows our preparation for the coming of Christ. Second is compassion. Do I have food? Share it with the hungry! Third, I see integrity. He spoke to the tax collectors and said, “Don’t collect more taxes than you’re supposed to. Be honest.” And, to the soldiers, he said, “Don’t extort money from people or lie about them.” Don’t do what you’ve become accustomed to doing. Do life differently. Finally, I see contentment. John says to the soldiers, “be content with your pay.” Generosity, compassion, integrity and contentment—those are certainly very practical ways to live a new and different kind of life. Each of these certainly indicates a change in the direction of a life. 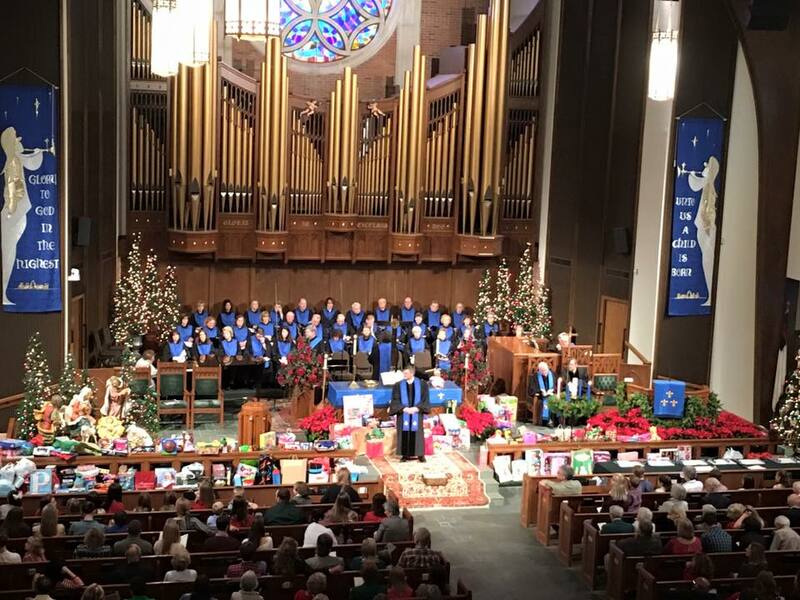 The congregation of FUMC, Monroe celebrates Christmas for the Children. Perhaps we need to practice a little repentance as we prepare for the coming again of Christ. Maybe we already are! On Sunday, December 13th, the altar of First United Methodist Church, Monroe was filled with generosity. That day, the congregation celebrated “Christmas for the Children” and was, for me, I think, evidence of repentance. It was an overflowing generosity from this congregation…generosity borne out of a deep compassion for the poor and less fortunate. I was amazed as I saw each gift and considered its value, but its value was not in the money each person had invested. Its value is in the joy and hope it brings to every child who receives each gift. And, how many years has this generosity overflowed in partnership with the Salvation Army? Fifteen years together. That’s awfully good fruit! You can watch the entire worship service by clicking here. What an appropriate partnership, too. William Booth, along with his wife, Catherine, founded the Salvation Army in July 1865 to serve the poor in East End London. Before Booth founded the Salvation Army, he was a Methodist circuit preacher. Booth, like John Wesley before him, abandoned the conventional concept of a church and a pulpit, instead taking his message to the people. His fervor led to disagreement with church leaders in London, who preferred traditional methods. As a result, he withdrew from the church and traveled throughout England, conducting evangelistic meetings. Thieves, prostitutes, gamblers, and drunkards were among Booth’s first converts to Christianity. To congregations who were desperately poor, he preached hope and salvation. His aim was to lead people to Christ and link them to a church for further spiritual guidance. Booth continued giving his new converts spiritual direction, challenging them to save others like themselves. Soon, they too were preaching and singing in the streets as a living testimony to the power of God. Generosity and compassion were changing the world. Methodists and Salvationists share a common thread of history of caring for the poor, rooted in the theology of John Wesley who said “does not God command us to repent and…also ‘to bring forth fruit meet for repentance’.” The fruit of our heritage, the fruit of our repentance, the fruit of our faith is generosity, compassion, integrity and contentment, and we bear this fruit, not only at Christmas, but every day that we live as disciples of Jesus Christ…as those who are preparing for His coming again. That’s our fruit for Christmas! Bear it…and, share it! Every one of us has certain expectations at Christmas. We expect to buy gifts and we expect to receive gifts. We expect the lights and the colors and the sights and the sounds of the season. We expect to eat a lot! We expect long lines in the department stores, and apparently this year more than ever, we expect to avoid those lines by ordering on-line and having it delivered to our home or office. We expect to be rushed from event to event, from party to party, from school play to church social. We expect to see family and friends. 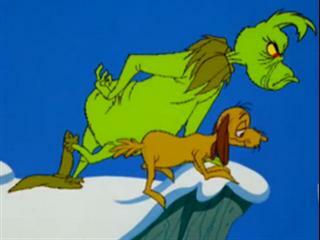 There is much about Christmas that is expected. We expect, too, when we go to church at Christmas that we’re going to hear something about the Christmas story. It is quite unexpected to be reading and hearing about John the Baptist at Christmas! God did some pretty unexpected things that first Christmas—like coming into the world as an infant! But, God has always done the unexpected, and John the Baptist is an example. Besides, this is Advent, and remember that Advent is a time to prepare for the coming of Christ, and John the Baptist was sent by God to prepare for the coming of Christ. 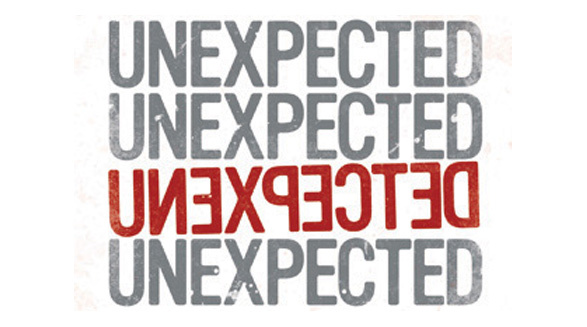 God used an unexpected time, and an unexpected person, and an unexpected message to speak His revelation. There was also an unexpected person. This message, Luke tells us, came to John, the son of Zechariah. We call him John the Baptist. It was quite unexpected that God would use this strange man who lived out in the desert and had a crazy wardrobe of camel hair, and had a steady diet of locusts and wild honey. No, we would expect that God would use the religious leaders, or even the political leaders of the day. Don’t they speak for God? Ha! We can’t always assume that God will use the religious leaders to do His bidding. This passage…this event…challenges me. After all, I’m considered a religious leader. It forces me to ask, “What am I doing with what God has entrusted to me?” And, we say we live in a Christian nation (debatable, I know), but seriously, we can’t ever expect our political leaders to speak for God. We can pray for them. We can hope they’ll be in tune to God’s will, that they’ll embody some kind of spirituality, but this passage reminds me that God chose a crazy man from the backside of the desert to deliver his message to a hurting, longing world. There was an unexpected message, and that was “The King is coming!” It was a call to get ready, and there was some pretty specific instruction as to how that was to look: repentance and baptism. Well, what was unexpected about that? After all, these were not foreign concepts to first century folks. The Old Testament has many examples of people turning from sin and God forgiving them. One of the most prominent examples the Jewish people knew was of David’s repentance when Samuel confronted him concerning his sin with Bathsheba. David said, “I have sinned against the Lord!” But, Samuel said, “Yes, but the Lord has forgiven you.” Zacchaeus, in Luke 19, is an example of a Jewish person who repented. After his encounter with Jesus, he gave away half his wealth and paid back up to four times that which he had cheated from others. I’m not sure whether you realize it or not, but that’s a lot of money! Likewise, these Jewish people would be well familiar with the idea of baptism, for Gentile converts who came to the Jewish faith had to be baptized to be considered Jewish. They were baptized into the faith. But, baptism was for Gentiles. The unexpected twist was John was preaching baptism to Jewish folk. They needed to be baptized? Now, that was unexpected! It was an unexpected person in an unexpected time preaching an unexpected message. There are a few implications we can draw from this passage. First, God is never not near. God is always present, even in those times we can’t see or feel him…even in those times when God seems silent. Sometimes (so I’ve been reminded), God is simply too near to see. God hasn’t forgotten us! God hasn’t forgotten the United States of America. God hasn’t forgotten the Syrian refugees. God hasn’t forgotten the hungry child in Africa. God hasn’t forgotten the lonely widow. God hasn’t forgotten the unemployed oil field worker, and God has forgotten you. When we least expect it, God will be right here…meeting our need, but more importantly, doing His will. Second, life always happens in God’s time. Our problem is our understanding of time. How is it we say that we never have enough time, but we’ll make time for that project or meeting or social event we desire to attend? We mark time by dates on a calendar, by days and weeks and years, by hours and minutes and seconds. The ancient Greeks had two words for time—chronos and Kairos. Chronos time is that time we mark with the calendar and watch. We measure it. Kairos is different. We can’t translate it precisely, it refers to time that is opportune. Chronos is quantitative. Kairos is qualitative. God operates by Kairos time. Third, God uses nobodies from nowhere. I’m the perfect example of that fact. I’m just a Bubba from Jackson Parish, LA. Jackson Parish may not be the backside of the desert, but it’s as close to the backside of nowhere as you’ll ever come. Never in a million years would I have ever dreamed of pastoring First United Methodist Church of Monroe. Actually, being a pastor at all was not one of the things on my check-list of things to do. But God uses nobodies from nowhere to speak to a hurting and broken world. Even after I came to ministry, I could never believe I’d pack my family up and move them 800 miles away to go to seminary, but God calls, and when God calls we go. Because God uses people from the backside of nowhere to make a difference in the Kingdom. Never would I believe that I would pastor some of the best churches in Louisiana. Seriously, I’ve had colleagues share horror stories of churches served, but I can honestly say that I’ve never had a bad appointment. Not one. Never in a million years would I believe I would have the opportunity to serve the church as a District Superintendent, but when God calls we answer, and I served the best district in the Annual Conference for two years. And, I must confess, never in a million years would I believe God would ever call me to offer myself in service to the larger Church as a candidate for the office of bishop in the United Methodist Church. But, Vanessa and I believe that is what God is calling us to do in this coming year. Now that is totally unexpected! What does this mean for First United Methodist Church? Nothing, for now. Nothing will change in the near future. Bishops are elected by the Church, and election for bishop will be held in July 2016 at Jurisdictional Conference. Because it is an elected position, there is the very real possibility that nothing will change. I will stand for election, and if not elected, I will continue serving as your pastor. If elected, however, I will begin service as a bishop immediately and FUMC will be appointed a new pastor. In the meantime, I will continue to preach and lead as I’ve done over the past two and a half years. The vision God has entrusted to us will continue to move forward in the same manner as if I were not surrendering to this call. I love serving you as your pastor, and nothing would please me more than to continue serving you as such for a very long time. God may, indeed, make a way for that to happen. Surrendering to this call is simply my desire to live in obedience to God. Vanessa and I have wrestled with this call since January, and after having said “No” on two occasions, we were compelled to not say “No” a third time (I’ll have to tell you the whole story sometime). I know there are a multitude of questions. I confess I don’t have all the answers. This is a new experience for me, too, so we’ll walk this journey together. But, I’ll answer as many questions as I possibly can in the coming months. I covet your prayers for Vanessa, my family and myself as we offer ourselves to the broader Kingdom of God in this way. And, continue prayer for our congregation as we seek God’s will for all our lives. We still have to live in the meantime. How appropriate, especially since Advent reminds us that we “live in the meantime”—between Jesus’ coming and his coming again. In the meantime, Jesus still meets us in quite unexpected ways. Where is He meeting you?